East Bandon Bargain!!! 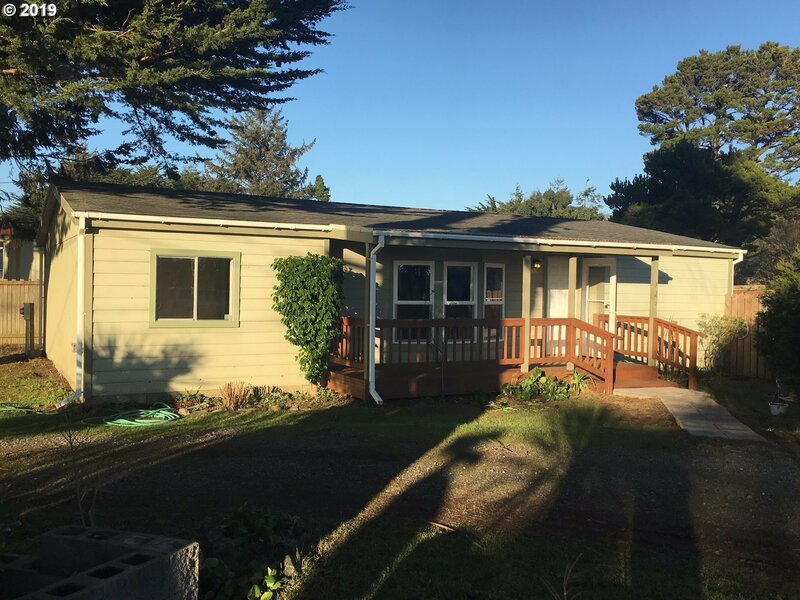 Newly remodeled, manufactured home on big corner lot, .20 acres with circular drive, plenty of room to build garage or shop, large fenced back yard with fruit trees, quiet neighborhood, near schools, beach and hospital and only 5.2 miles from Bandon Dunes Golf Resort make this a great place to live! More interior pics to come!